The Supreme Court has upheld the Bombay High Court judgment which dismissed Reliance Infrastructure challenge against regulation 44.2(d) of the Maharashtra Electricity Regulatory Commission (Multi Year Tariff) Regulations, 2011. 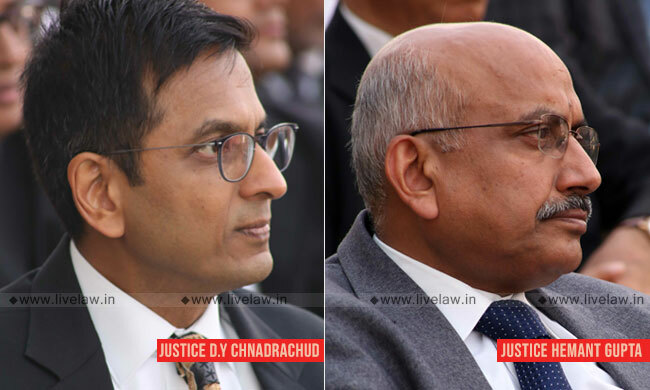 The bench comprising Justice DY Chandrachud and Justice Hemant Gupta, however, disapproved of the High Court view that the writ petition was not maintainable. Setting aside the cost of Rs.1 Lakh imposed on Reliance Infrastructure, the bench observed that the challenge to the validity of the regulations framed by the MERC could only lie before the High Court. The Reliance Infra had approached the High Court challenging the 'discrimination' against its Thermal Power Station at Dahanu. It contended that the Station Heat Rate prescribed for its thermal power station at Dahanu has been subjected to a more stringent norm than other comparable units. While dismissing the petition, the High Court imposed costs of Rs 1 lakh on Reliance. The bench agreed with Senior Advocate P Chidambaram, who, on behalf of Reliance, contended that the High Court was not justified in coming to the conclusion that in view of the pendency of the appeal before Appellate Tribunal for Electricity (APTEL), recourse to the jurisdiction under Article 226 constituted an abuse of process. Referring to PTC India Limited v Central Electricity Regulatory Commission, the bench observed that a challenge to the validity of the regulations framed by the MERC could only lie before the High Court. In the said judgment, it was held that while the Tribunal may decide upon a dispute involving the interpretation of a regulation, for which an appeal under Section 111 would be maintainable, no appeal can lie before the Tribunal on the validity of a regulation. The bench said: "Though the above principles emerge in the context of regulations framed under Section 178 by the CERC, the logic of the judgment extends to the regulations 18 framed under Section 181 by the State Electricity Regulatory Commissions. In view of the legal position settled by the Constitution Bench, we are of the clear view that the High Court was not justified in disparaging the appellant for taking recourse to a constitutional remedy under Article 226." The bench upheld the MERC regulation and observed: "MERC followed the statutory procedures laid down for the determination of tariffs. It took into account factors which it is mandated by the statute to consider. The national tariff policy, suggestions of stakeholders as well as the assessment carried out by the CPRI were duly considered. Hence, the present case does not fall in the paradigm of manifest unreasonableness or arbitrariness to warrant the interference of this Court. It would be rather formulaic for the Court to accept that merely because DTPS was placed at par in the immediately previous period (2006- 07) and the period immediately succeeding (2016-20), that this must necessarily be extrapolated to the intervening period governed by the MYT Regulations 2011. A body which is entrusted with the task of framing subordinate legislation has a range of options including policy options. If on an appraisal of all the guiding principles, it has chosen a particular line of logic or rationale, this Court ought not to interfere."